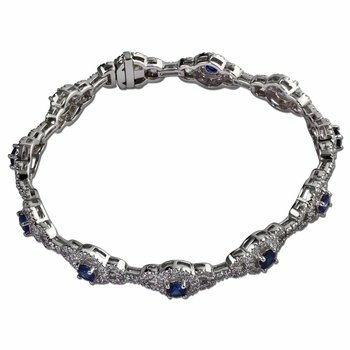 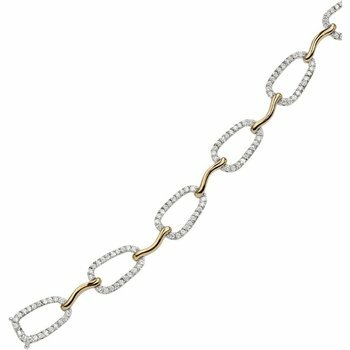 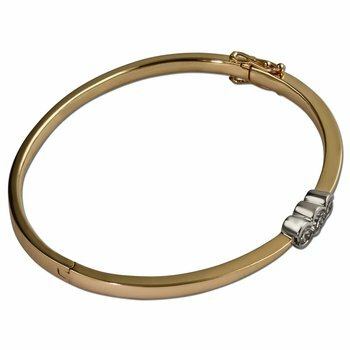 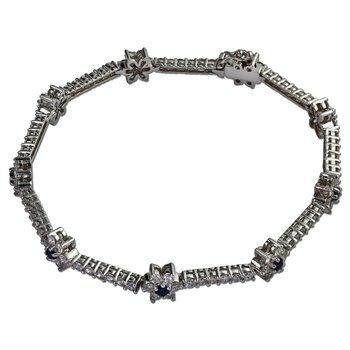 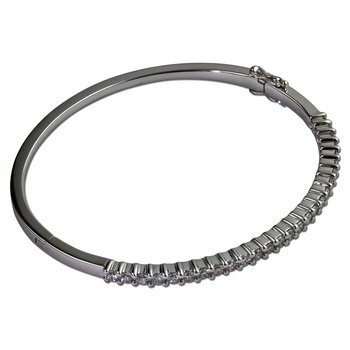 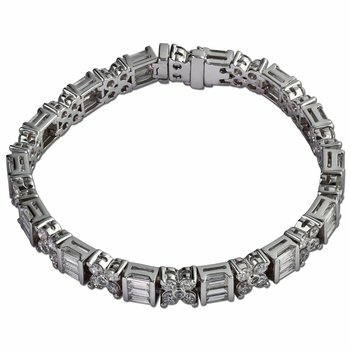 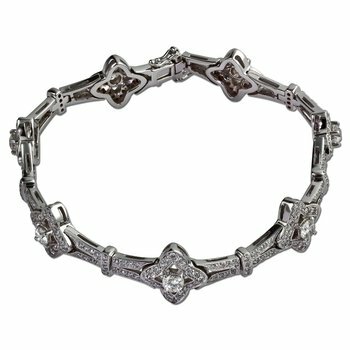 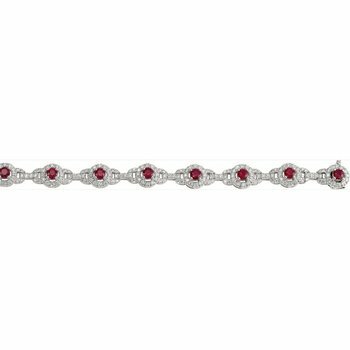 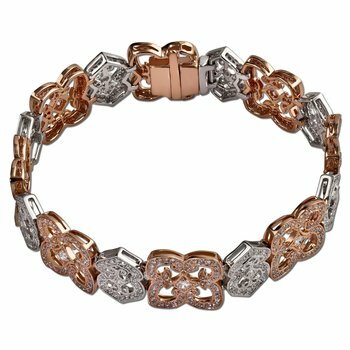 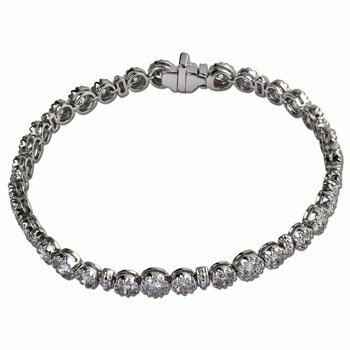 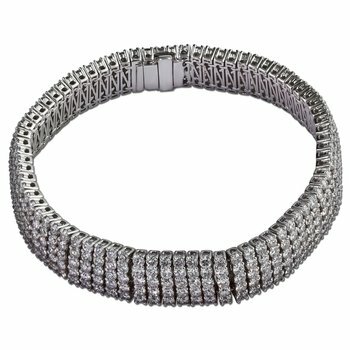 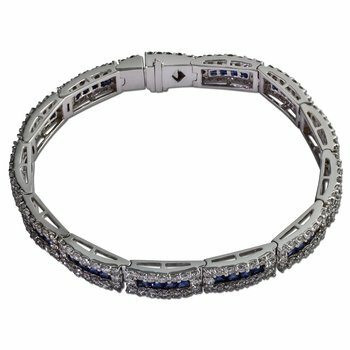 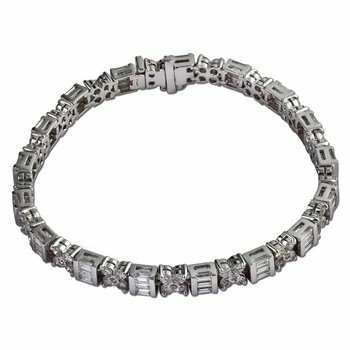 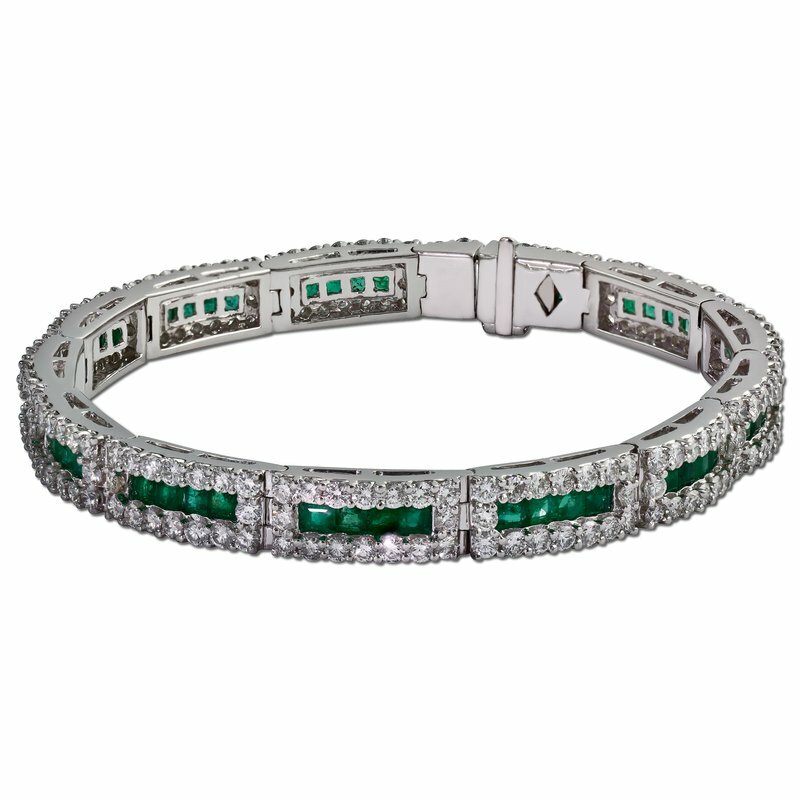 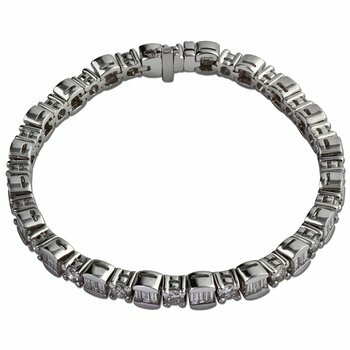 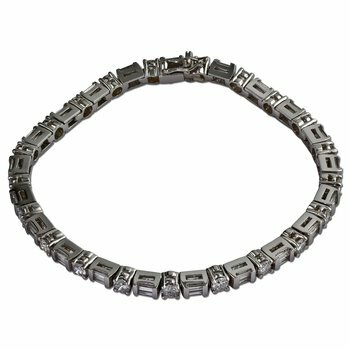 Celebrate lavishly with this exquisite emerald and diamond bracelet. 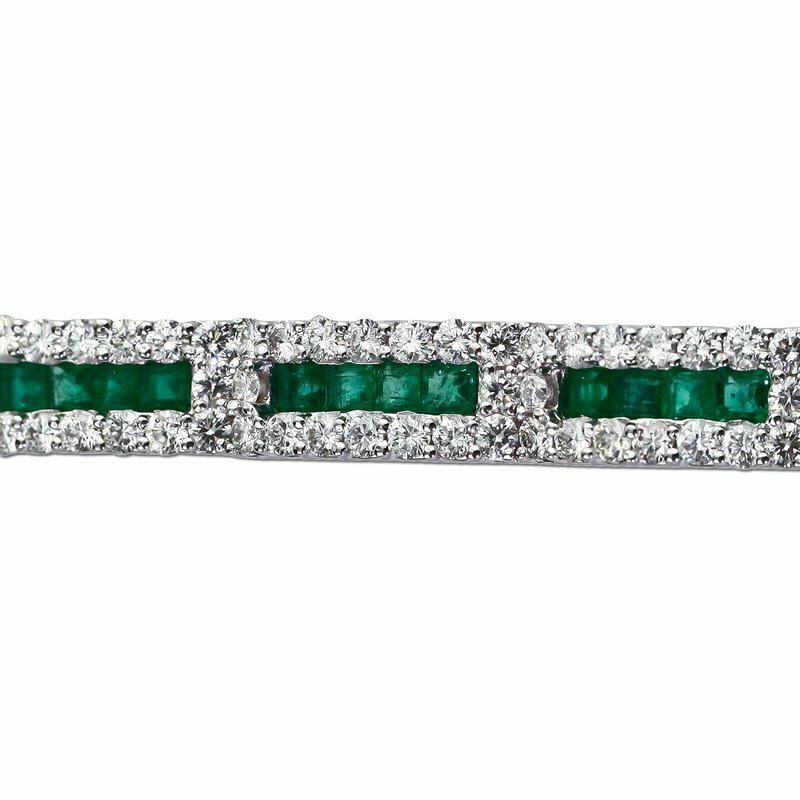 Shared prong set round diamonds frame and highlight channel set square emeralds. 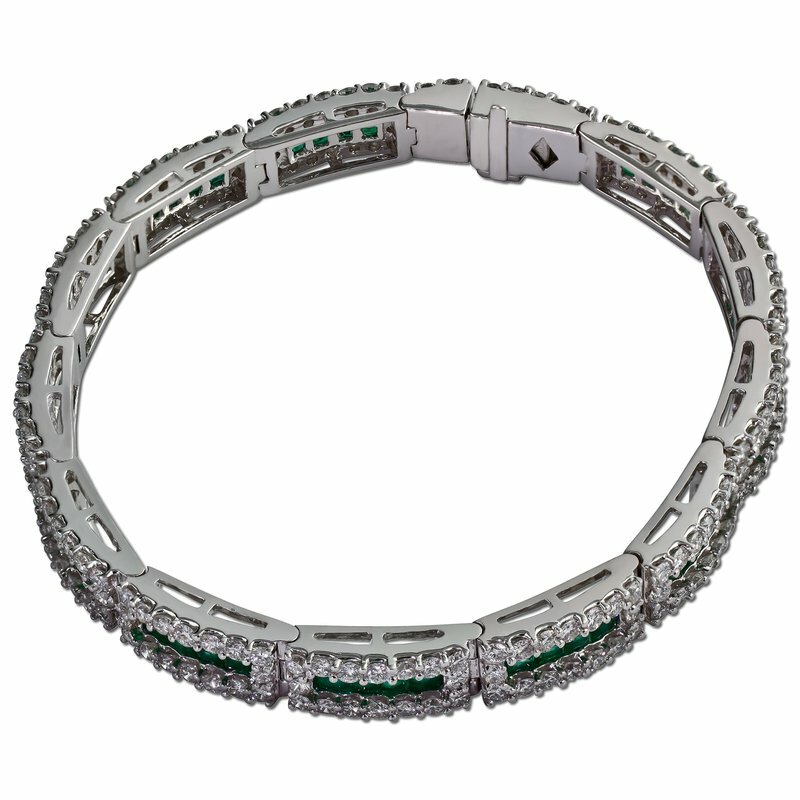 Setting features 5.33 carats total diamond weight and 3.10 carats total emerald weight.